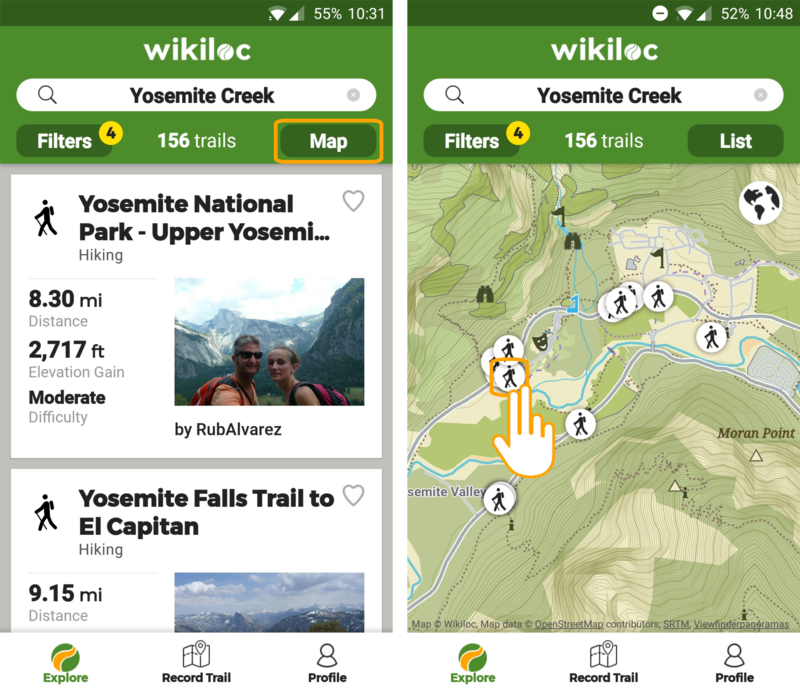 From the App you have the option to search trails within the World Search Map. 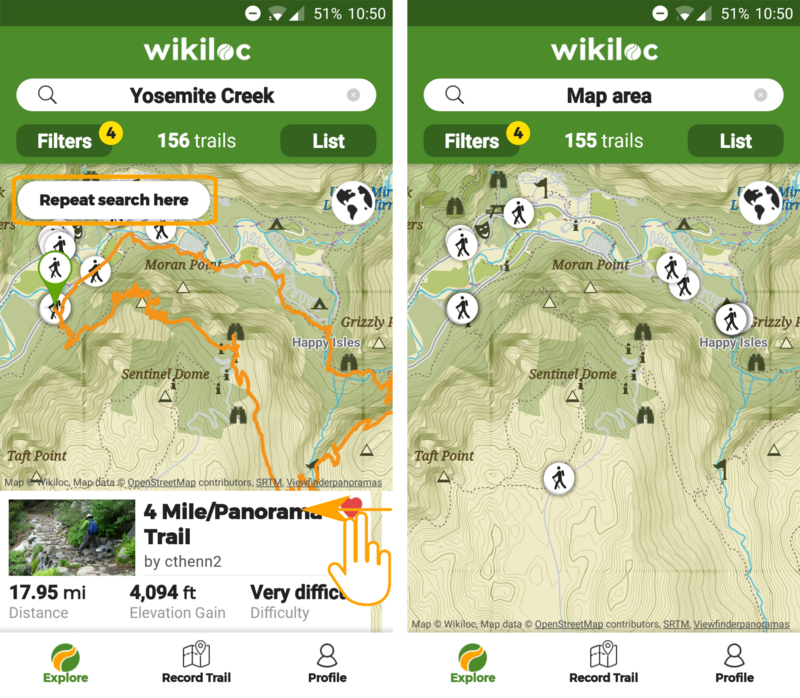 Open the map: By pressing the "Map" button, a map will display and show activity icons corresponding to the surrounding trail starting points. If you know the starting point location name, use the search bar to quickly bring you there. If you want to explore a specific area, slide the screen with the finger to drag the map. Each time you move the map, the position filter is changing. For this new area trails to be updated on the map, remember to click on "repeat search". Preview route: If you click on one of the icons, a resume of the route will appear at the bottom of the screen. If you want to see next preview, slide it to the left. See all trail's information: If you want to know more about the route, click on the preview box.